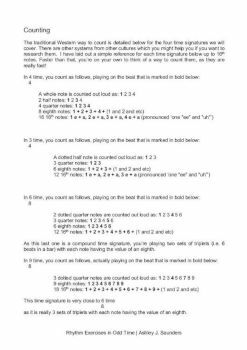 If you can play confidently with a metronome and are looking for a challenge, then Rhythm Exercises in Odd Time eBook covers hundreds of odd rhythm exercises for guitar. 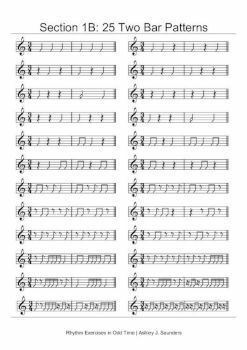 This ebook uses four different time signatures presented in a mixture of one, two and four bar phrases. Not for the faint heart as this eBook gets progressively harder. 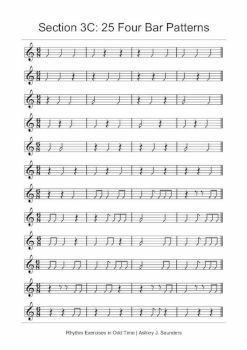 If you have worked through Improve Your Sense of Time and Rhythm eBook and Rhythm Exercises in Common Time eBook, and have improved your internal metronome and built a solid foundation, then Rhythm Exercises in Odd time eBook will provide you with another challenge. This reference eBook contains over 400 odd rhythm exercises for guitar in 4 different time signatures. Start with a single open chord and the metronome on slow. Then as you build confidence, you can start to move each exercise around a simple chord pattern or a scale. As this book is challenging, it's not for beginners but for guitarists who are intermediate to advanced level. 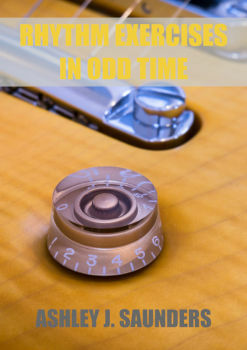 So, if you want to learn new time signatures, improve your feel and strengthen your inner metronome, then you should grab a copy of this eBook today. Building on your good timekeeping skills, this eBook will enable all guitarist to explore new time signatures.